Across the planet, one hour, tonight, at 8pm, stand up for our planet and turn off your lights! 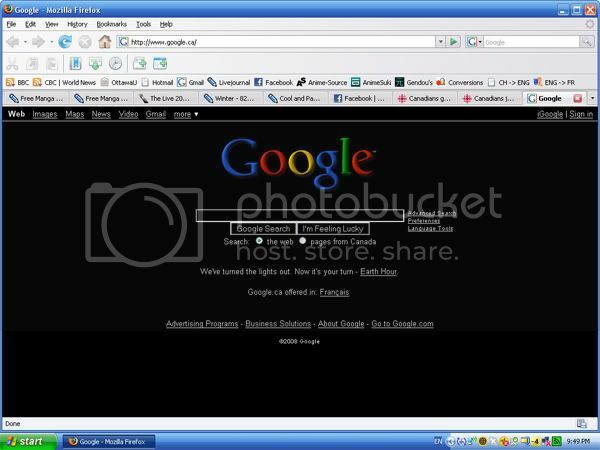 EARTH HOUR! [EDIT]: The time is now 10pm, hence why my computer is on again. The past hour and a half (kind of lost track of the time lol) has been incredibly pleasant and kind of flew by. No buzzing of the computer, no glaring light from the monitor, just a few candles around the room, and the chance to lay on the bed while looking out my window and enjoying the time pass by, not as tedious and boring as one might think. It's rare in this era to get a chance to do something so simple and relaxing. Earth Hour is but a symbolic gesture, it doesn't really solve anything. What it does do, however, is provide a chance for people across the globe to unite and contribute a small, individual effort for a result that can be seen and felt across the planet. After all, we are all children of this planet, in the end we can fight and bicker amongst ourselves all we want, but this planet is our home, and all its organisms, living or not are our family. It also provides us with a chance to prove to the few still-in-denial politicians and mega-corporations that when it comes to the environment, whether it be global warming, degradation, species extinction or whatever, they can scream and yell all they want, but the issue in the eyes of the people is real and important. Will you turn out for Earth Hour? 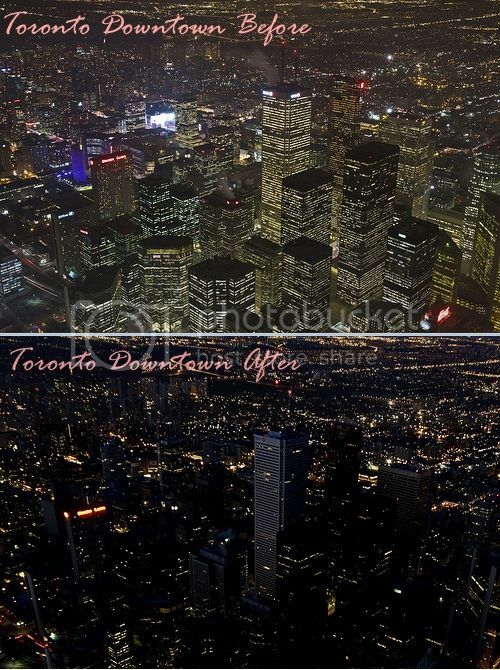 Toronto downtown before and after the arrival of Earth Hour. 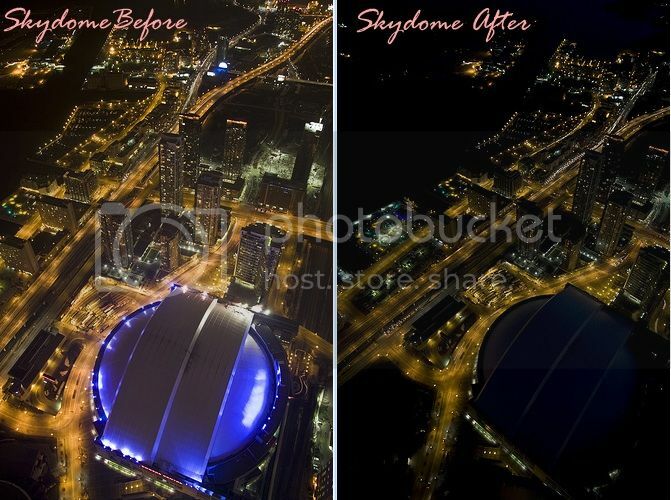 The Skydome (also called the Rogers Centre) before and after the arrival of Earth Hour. We don't realize just how much lights we use until we turn them off...amazing...all that energy. [EDIT3]: Sorry for the increasingly long post, just keep finding new things to add since it just happened yesterday and statistics of the impacts are just starting to come out. I just realized there's actually a site called "Hill Cam" that takes live images of Parliament Hill 24hrs a day. Dammit!! 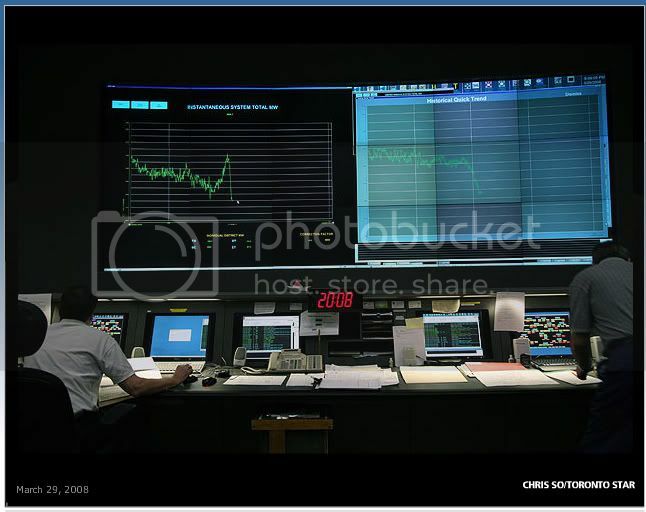 If I had known I would have monitored Earth Hour last night on Parliament Hill through that site!! Ah well...stats are in! 1) Ottawa saw demand for energy drop almost 4%, enough to power 50 homes for a month or 1 household for 4 years. 2) Toronto also reached their target, reducing energy consumption by just over 5%. Across Ontario an average of 5% energy consumption was saved. 3) On the other hand, our brilliant Prime Minister Harper snubbed Earth Day by keeping his lights on...in his house anyway, because the lights sure aren't on in his freaking head. Hour by hour, we can make more and more people realize that how important, and actually not very hard, we can do something to protect our environment and our home, the Earth.